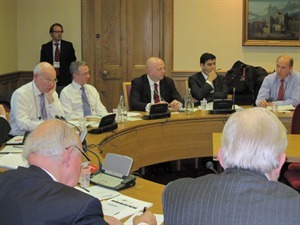 GSF hosted a seminar in the House of Lords entitled ‘Cyber Defence: The Biggest Challenge Facing UK National And Economic Security?’, which was opened by Professor Sir David Omand GCB. 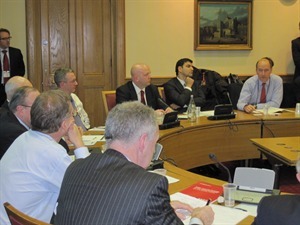 On 30th November 2011, Global Strategy Forum held the above seminar in Committee Room 3 of the House of Lords. The Chairman was Lord Lothian, Chairman of GSF. 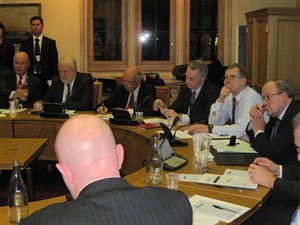 The speakers were: Professor Michael Clarke, Director General, Royal United Services Institute; Mr. Gordon Corera, Security Correspondent, BBC News; Mr. Luke Forsyth, Vice-President for Security and Compliance Services, CA Technologies; Lord Hannay of Chiswick GCMG, CH, Chairman, House of Lords EU Sub-Committee F (Home Affairs);Mr. Robert Hayes, Senior Fellow, Microsoft Institute for Advanced Technology in Governments; Mr. Andrew Miller MP, Chairman, House of Commons Science and Technology Committee; Professor Sir David Omand GCB, Visiting Professor, Department of War Studies, King’s College, London; Sir David Pepper KCMG, Director, Government Communications Headquarters (GCHQ) 2003-2008; and Mr. Martin Sutherland, Managing Director, BAE Systems Detica.